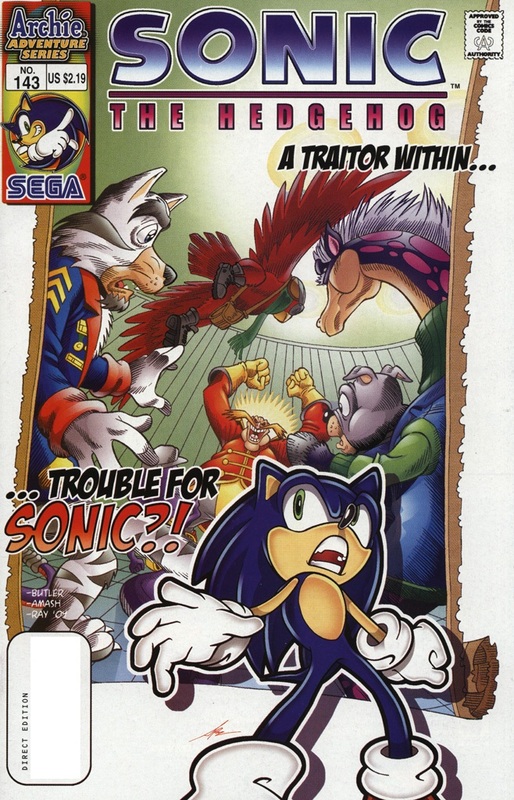 When Ken Penders first started outlining what would evolve into Mobius: 25 Years Later, he took the title of the story seriously. While most comic book authors dealing with modern legends they neither created or owned liked to toy with the future, they knew in the back of their minds that the future was fleeting. Their ideas of how the fate of each character would play out could easily be changed, be it another writer down the line or even the whim of an editor. Ken, on the other hand, never thought he was writing an imaginary story or a possible future. To him, he was detailing the true and final fate of these characters within the Sonic Archie Universe. As the series began to see print, the opinion on whether or not the story was canon or merely a possible future was suddenly called into question, much to Ken’s chagrin. An internal strife behind the scenes began, one that did leak onto the Internet in various fan forums and even some semi-official ones. Though it would be some time (and a change in editor) before Ken would be forced off the series, they were the first cracks in the wall to show that Ken’s position in the echelon of Archie scribes was not as strong as he would have liked to think.